Are and Pops. : Comotomo Teether review and giveaway. 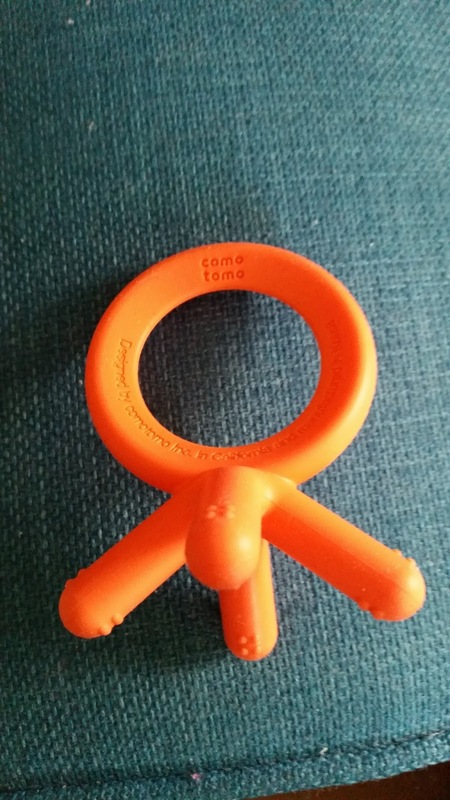 Comotomo Teether review and giveaway. We got avey in to help with this little review, we were sent 2 teethers one of which was opened straight away, gave a wash and given to avey and he took to it straight away. He's 7 months now and able to hold most things but the handle on these look like it would be fairly easy for smaller babies too. He enjoyed chewing on the little 'fingers' and I think it helps that there's a few on all sides so whatever way he held it he could find one to pop in his mouth. Pops being older was a little less interested in it as a toy but whenever I saw her chewing her fingers I would hand her the teether and she would pop that in a chew away instead, the little 'fingers' on the teether are like a chubbier version of hers so think that helped that she could pop one in and bite on it. They're recommend from 3 months and older and are BPA free. We popped ours in the dishwasher before checking if it could but luckily it can, it's safe in the microwave and steam sterilisers too... which is a GREAT thing as most of pops ones when she was younger wasn't. They come in an orange and blue and both are bright and stand out which makes them pretty hard to misplace, popping a clip to attach it to a pram would be a good idea! Have you got a teething baby? What methods do you use to ease the pain? 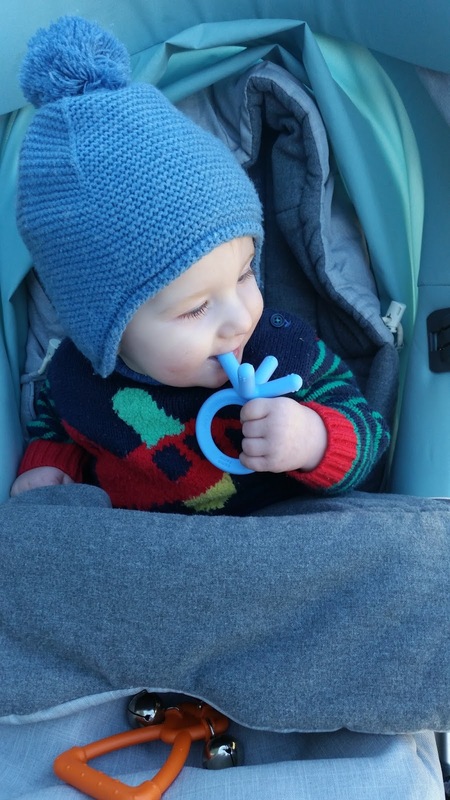 Have they got a favourite teether? Want to win one of their teethers? Click the link below to enter. We were sent the teethers for the purpose of reviewing but all feedback is our own. My sons favourite tether is def my fingers, although Sophie the giraffe is a very close 2nd!!!! I love the look of these, they're really funky! We bought a few different types for my daughter but all she wanted was a piece of old leather belt her dad was supposed to be throwing away! Great giveaway. My daughter could really do with this. She is 10 months and only has the bottom 2 but she is well on her way.